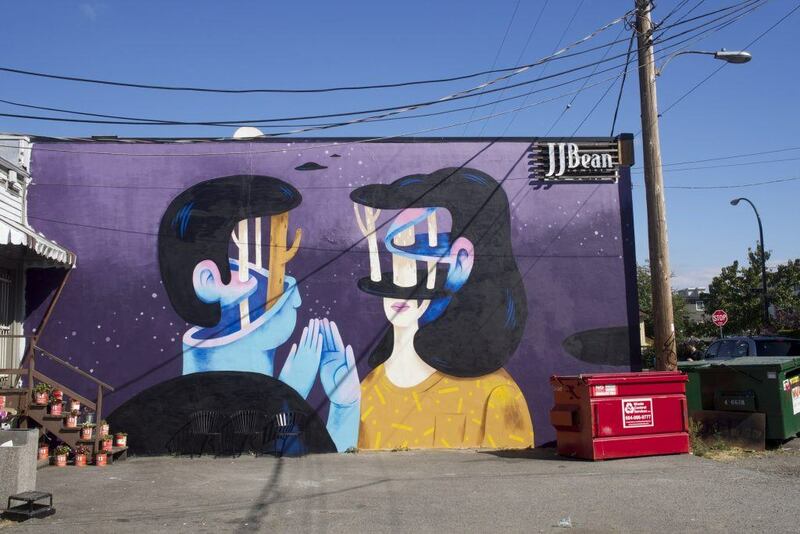 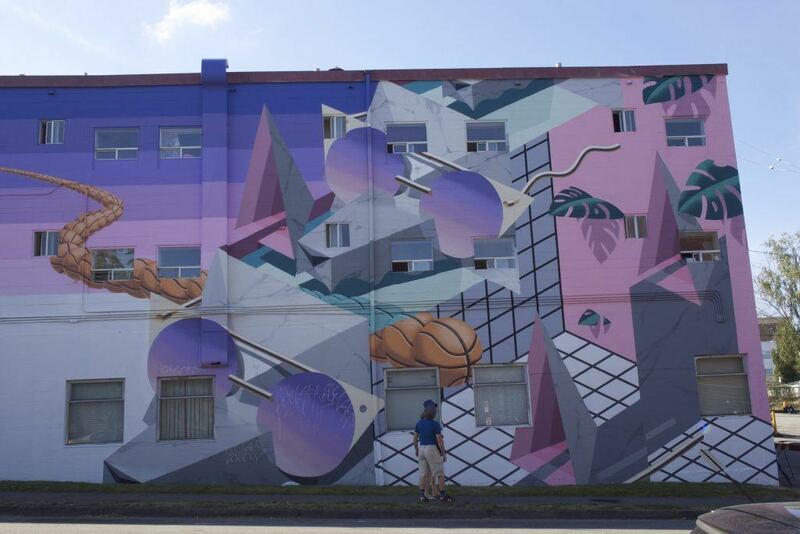 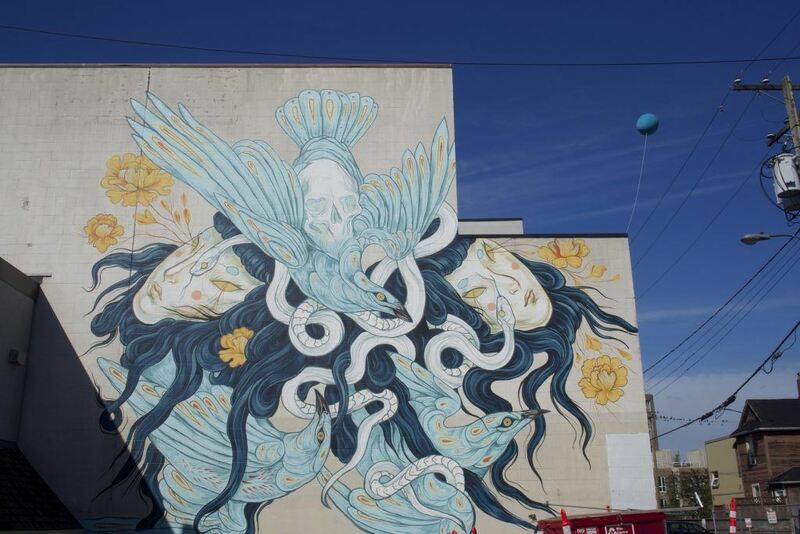 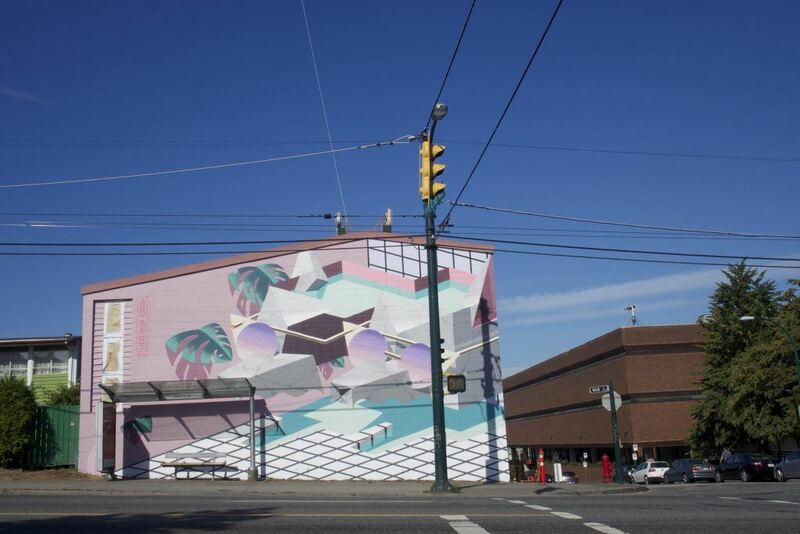 This weekend was the inaugural Vancouver Mural Festival and thousands of Vancouverites witnessed what is arguably one of the most significant festivals to happen in this city since the return of the New Year’s Eve celebration. 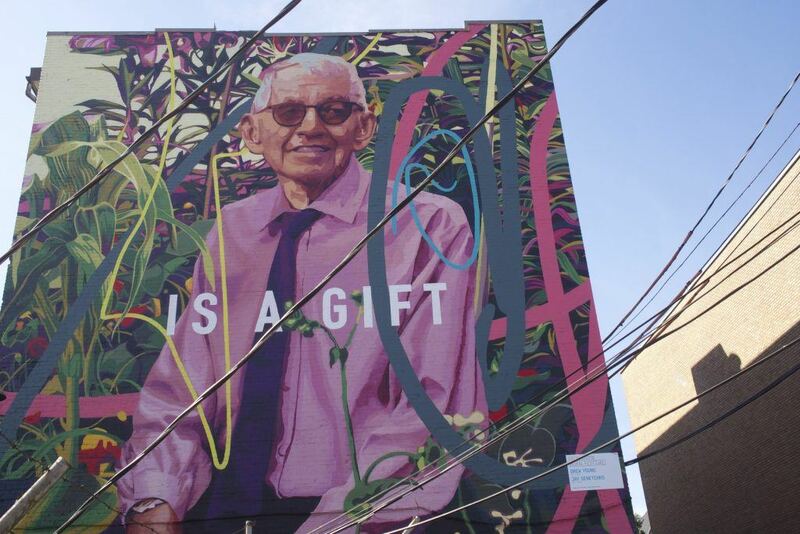 There’s more to this festival than beautiful works of art – it also represents a fundamental shift in the archaic way of thinking at City Hall and hopefully the residents of the city as well. 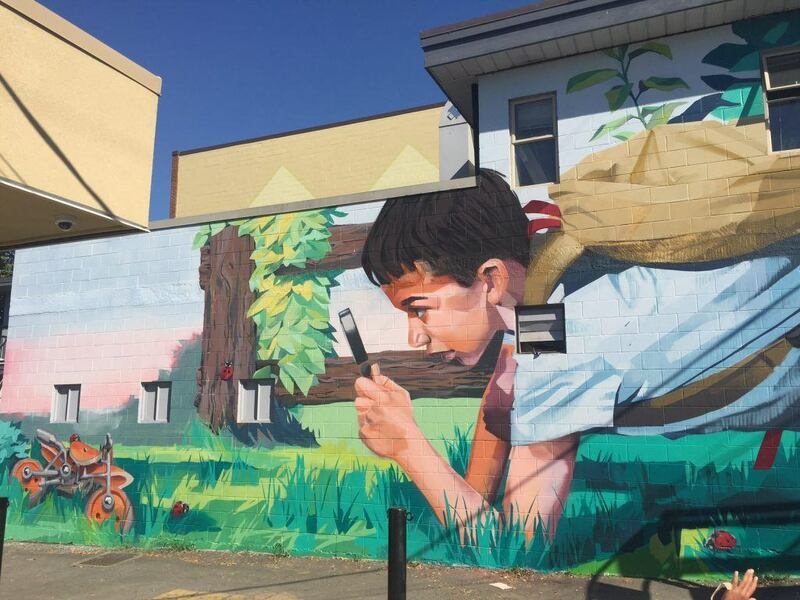 Street art is celebrated all of over the world, yet in our town, until recently, it was seen as form of vandalism perpetrated by undesirables. 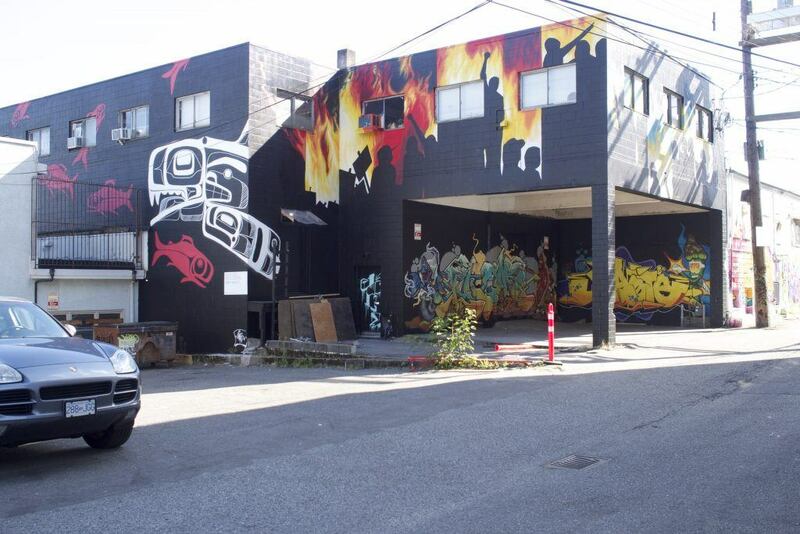 Could it be that Vancouver is finally growing up and moving out of its parents’ illegal Vancouver Special basement suite? 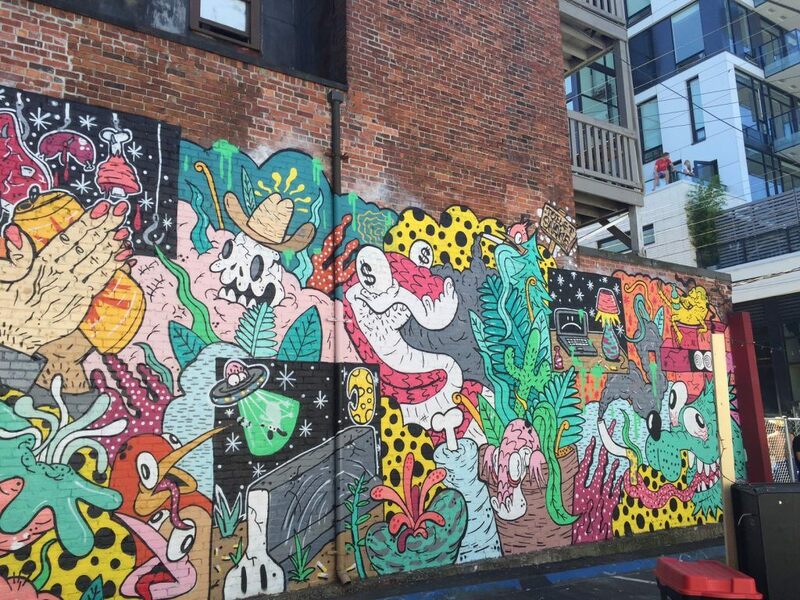 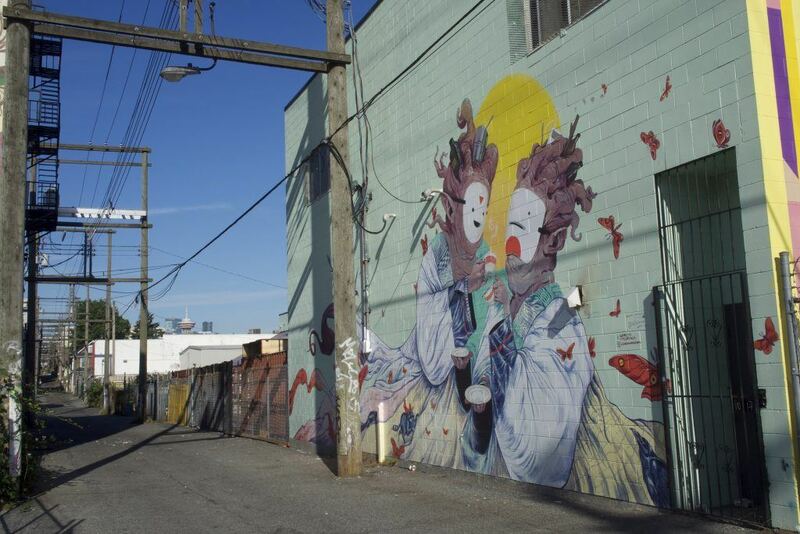 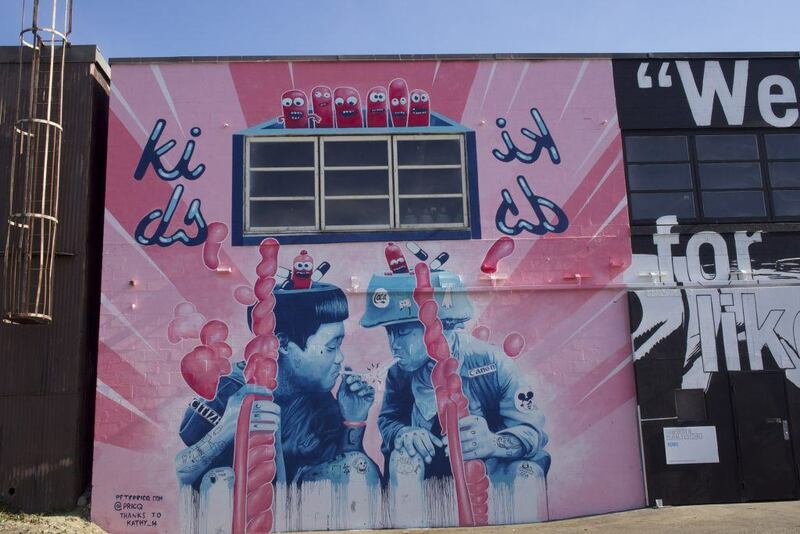 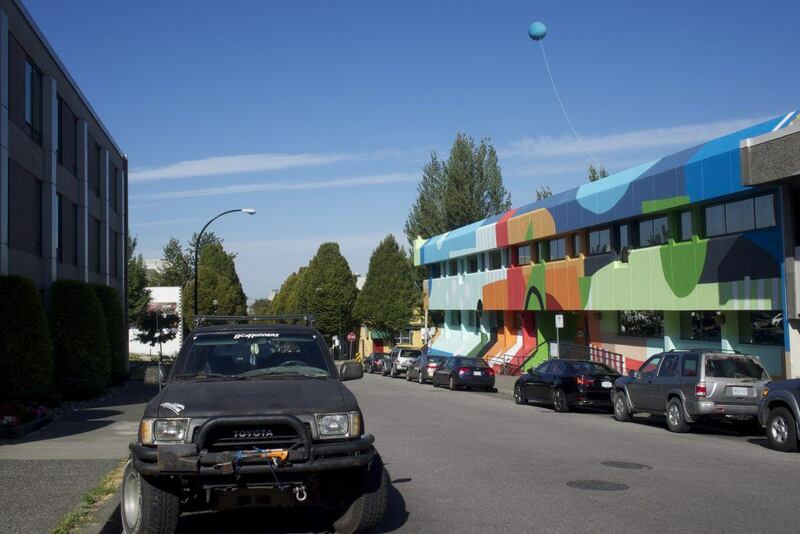 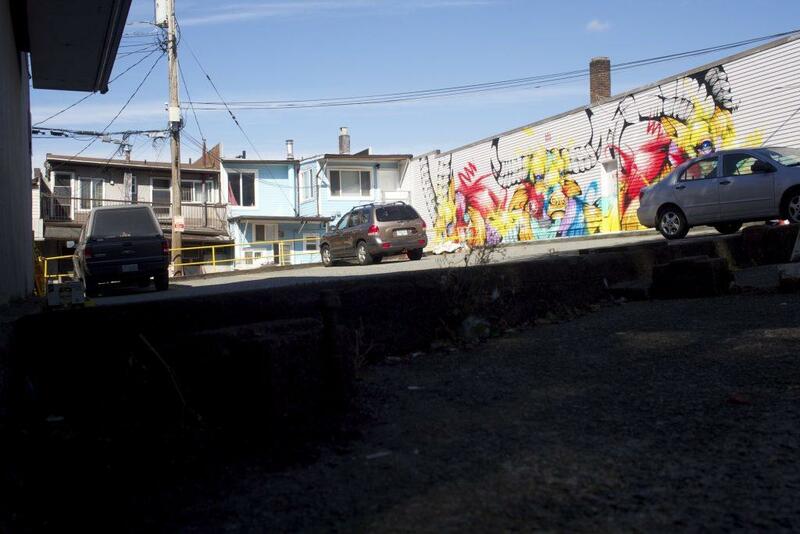 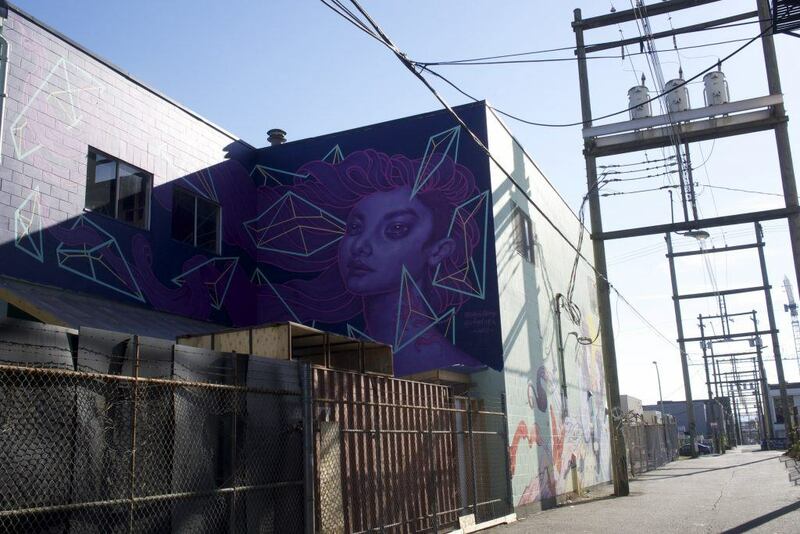 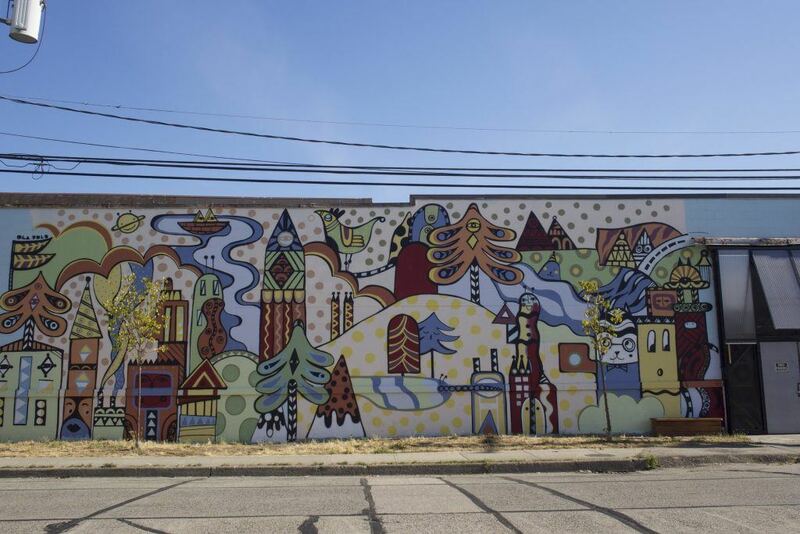 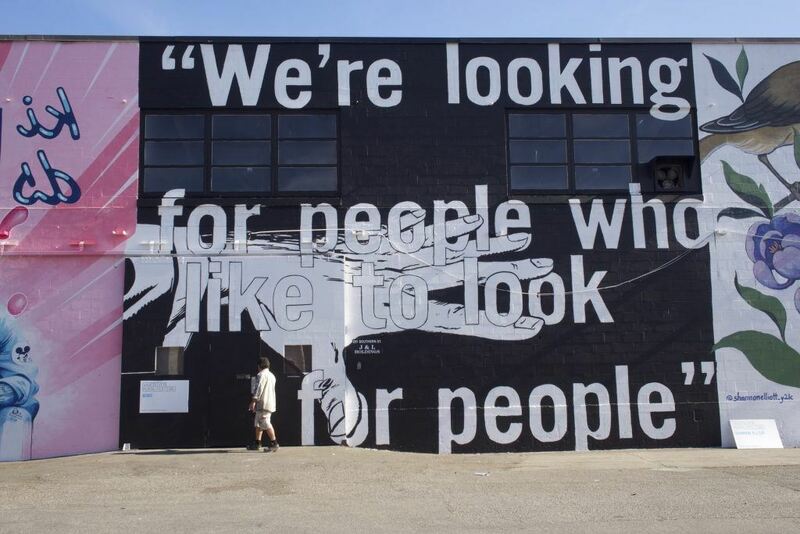 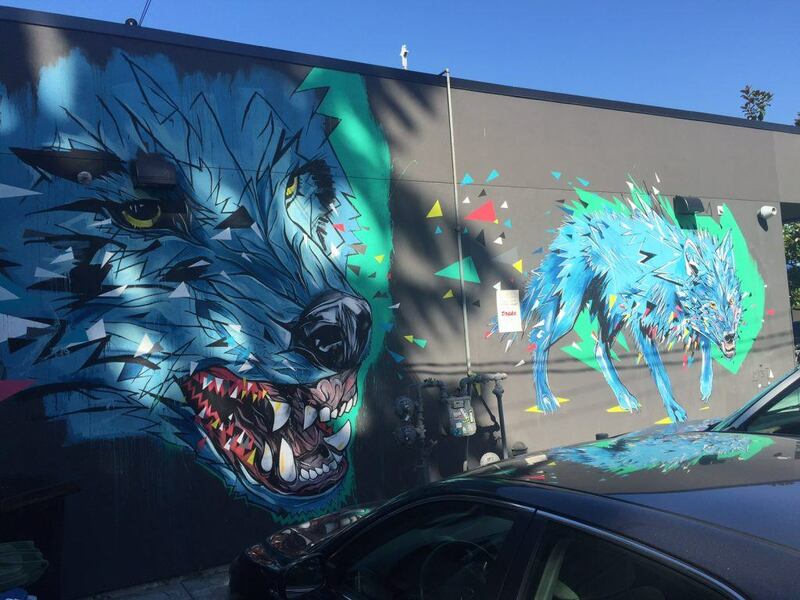 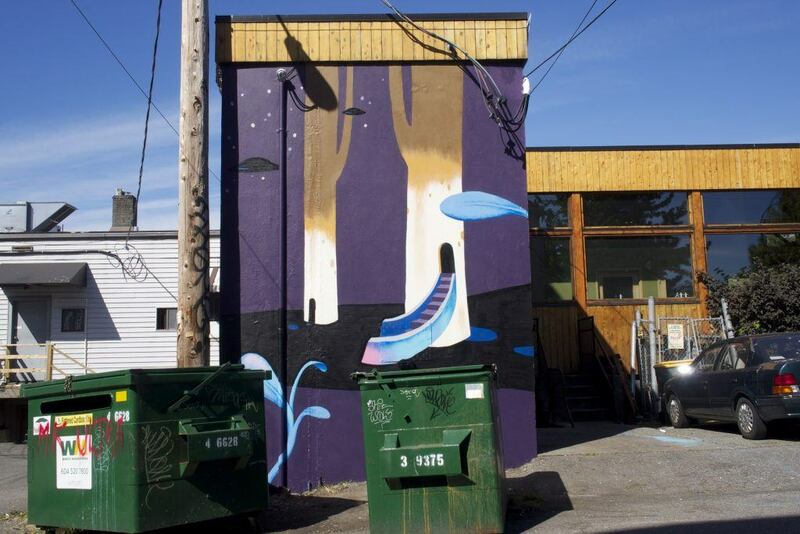 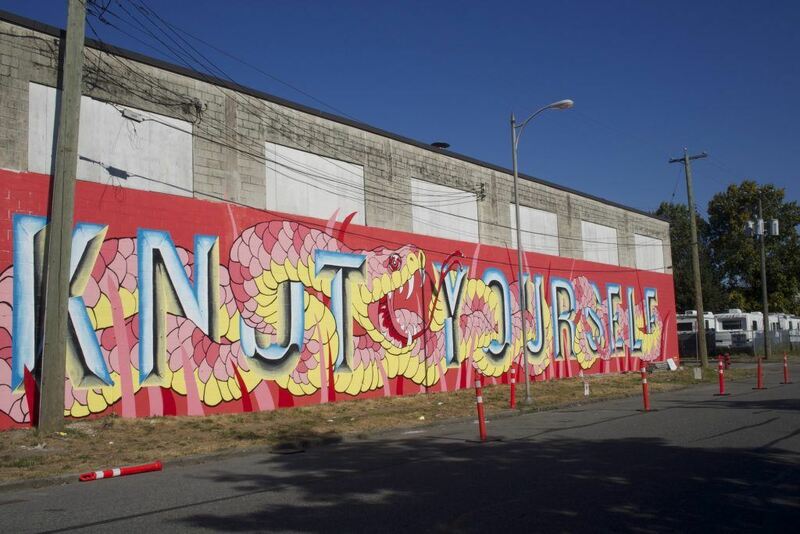 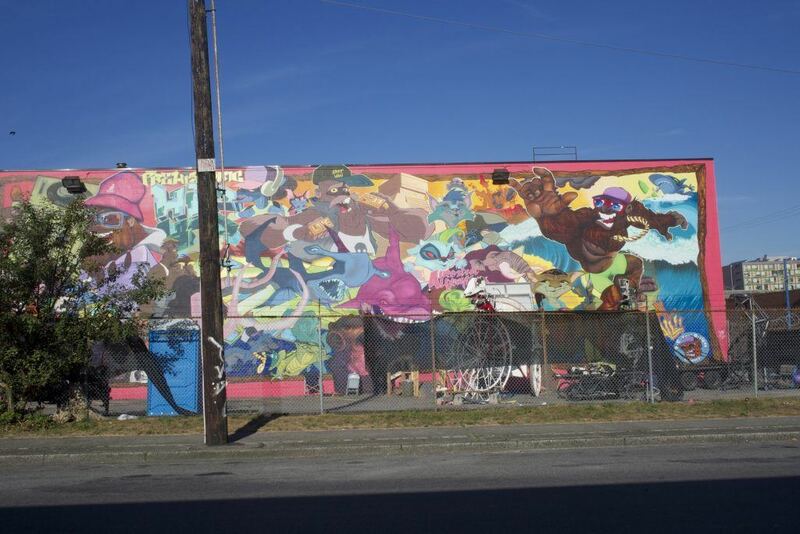 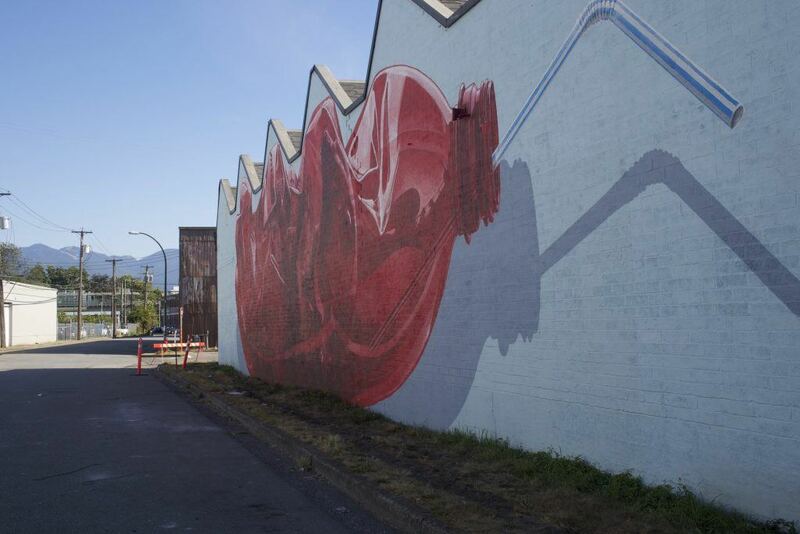 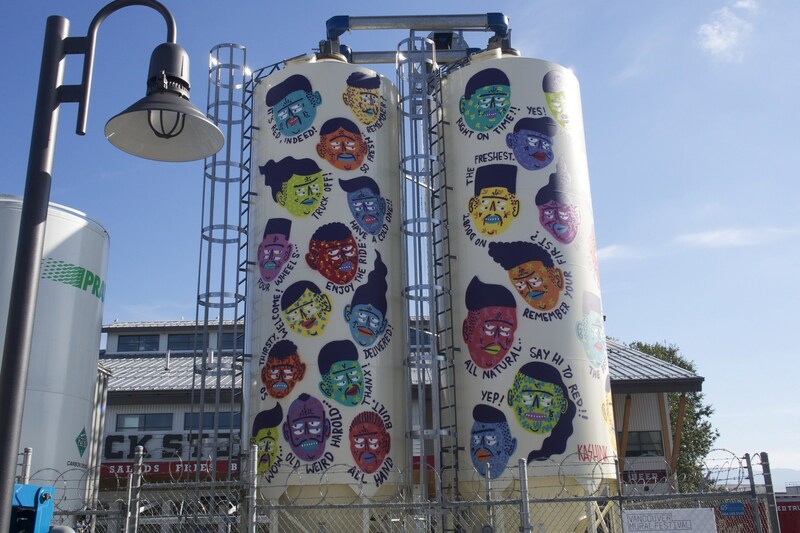 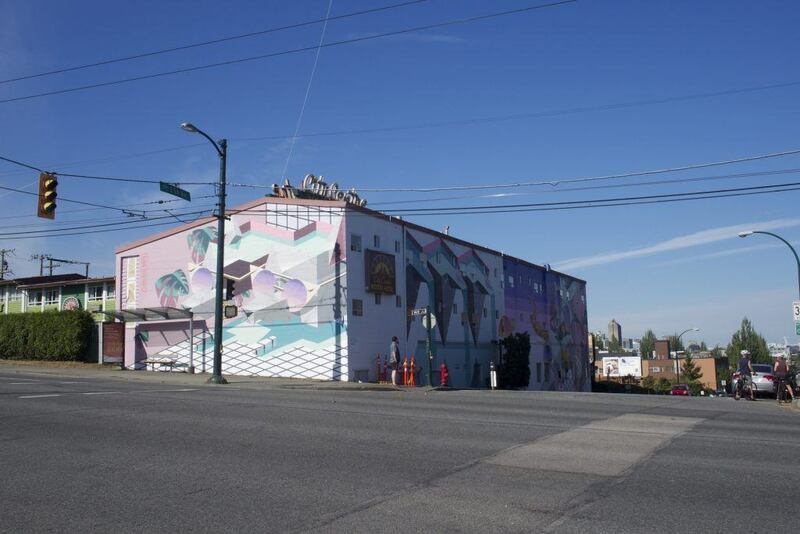 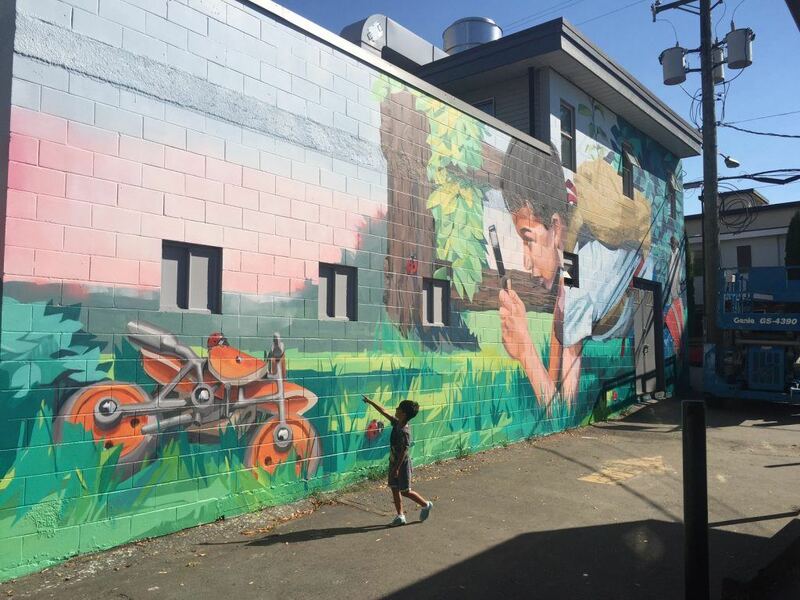 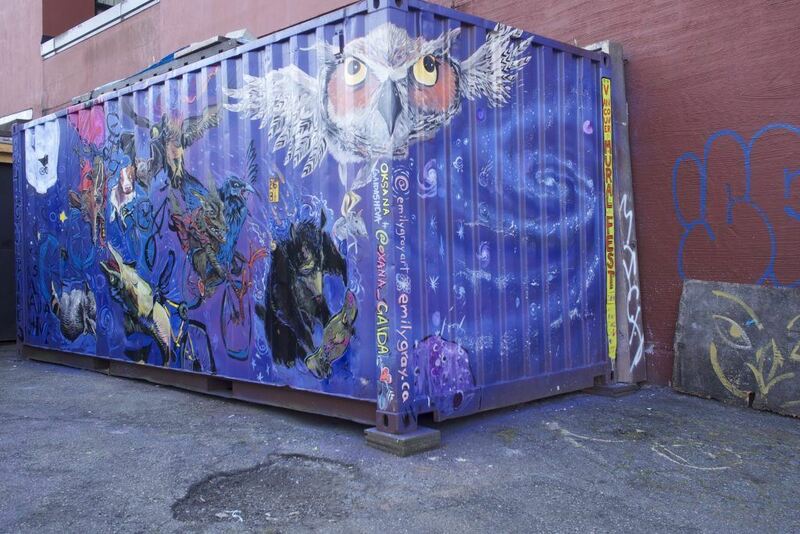 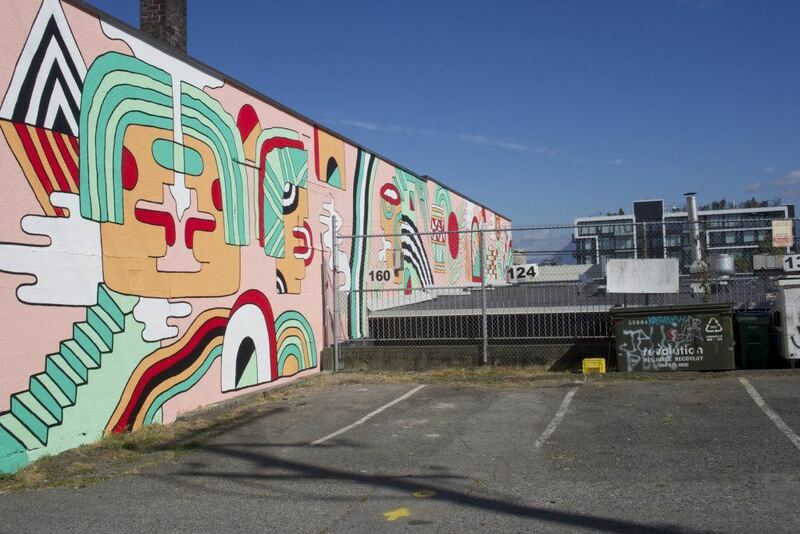 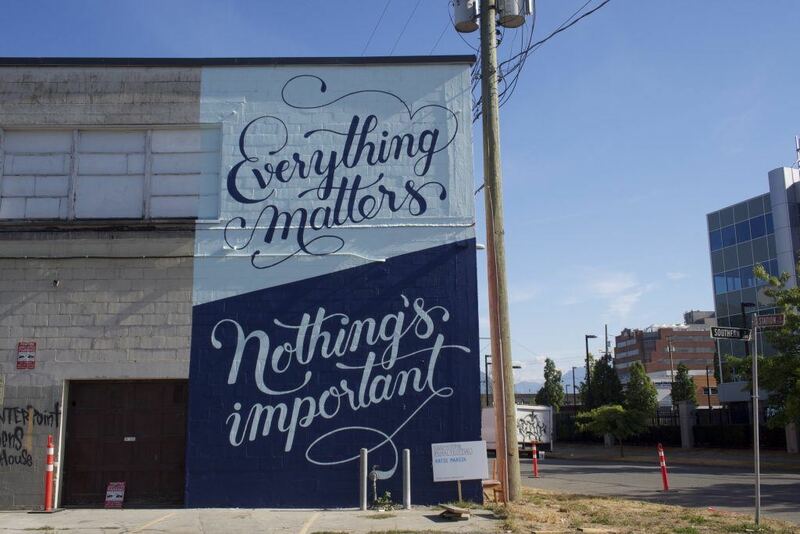 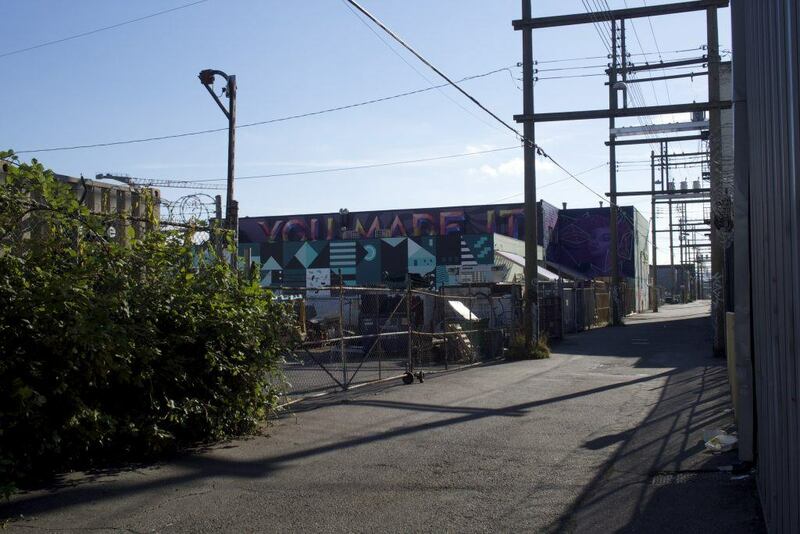 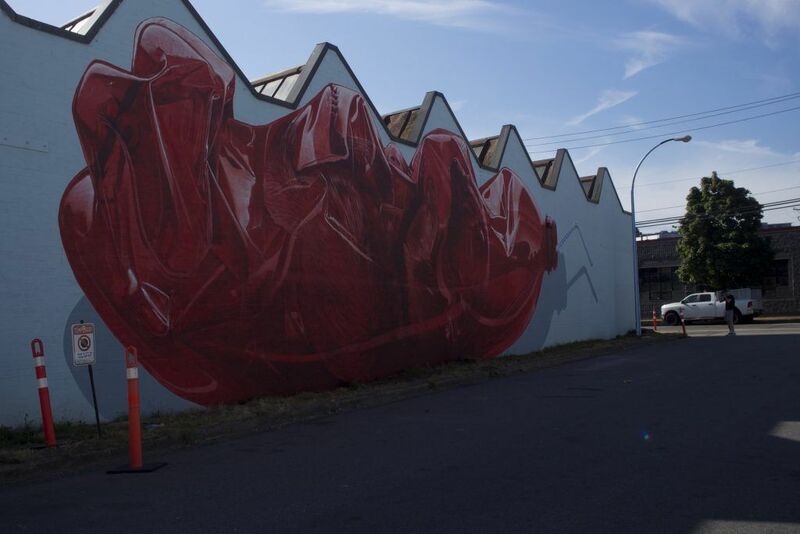 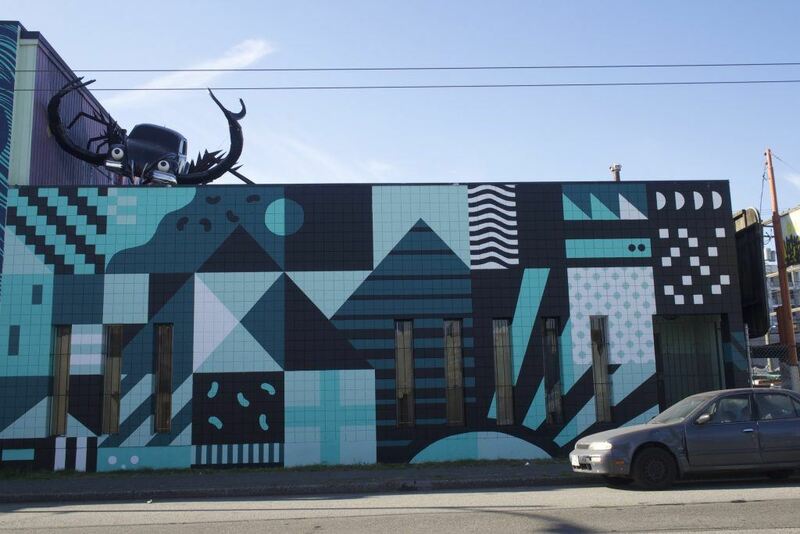 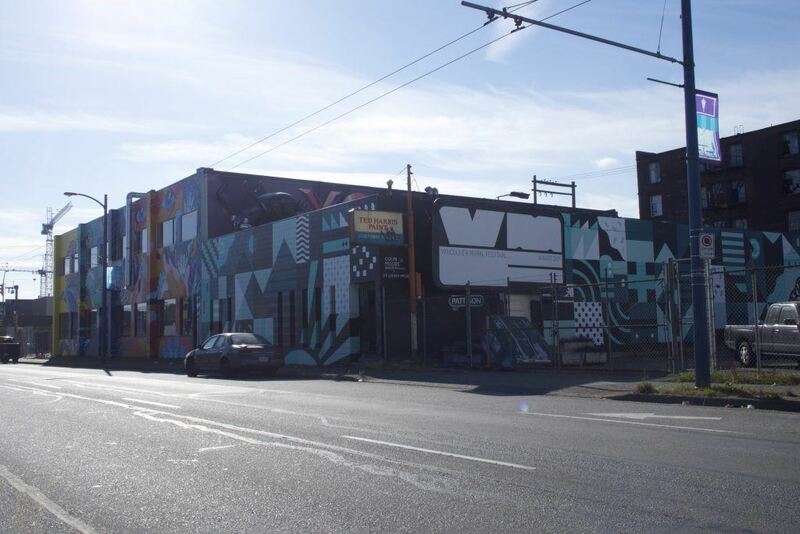 In case you weren’t able to attend, let us take you on a visual journey of all the wonderful new street art in East Vancouver, most of which is centred around Mount Pleasant, the False Creek Flats, and the Maker Labs building. 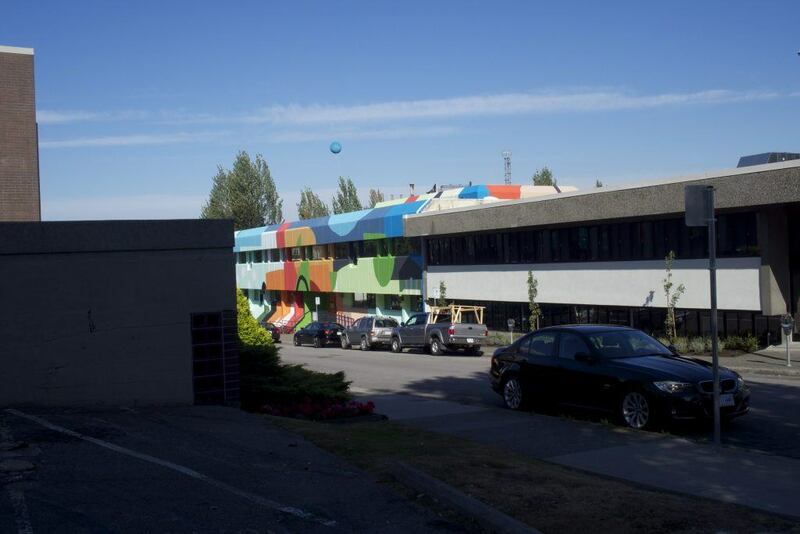 We start our journey on the edge of Railtown at Makerlabs. 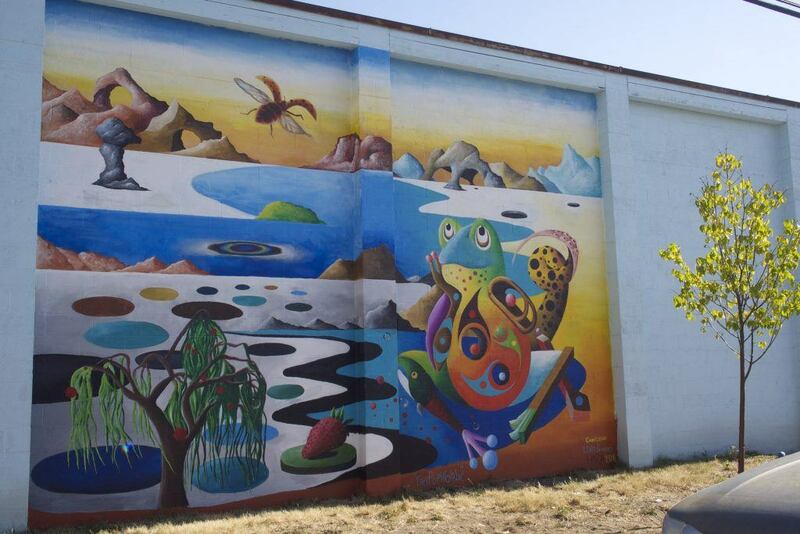 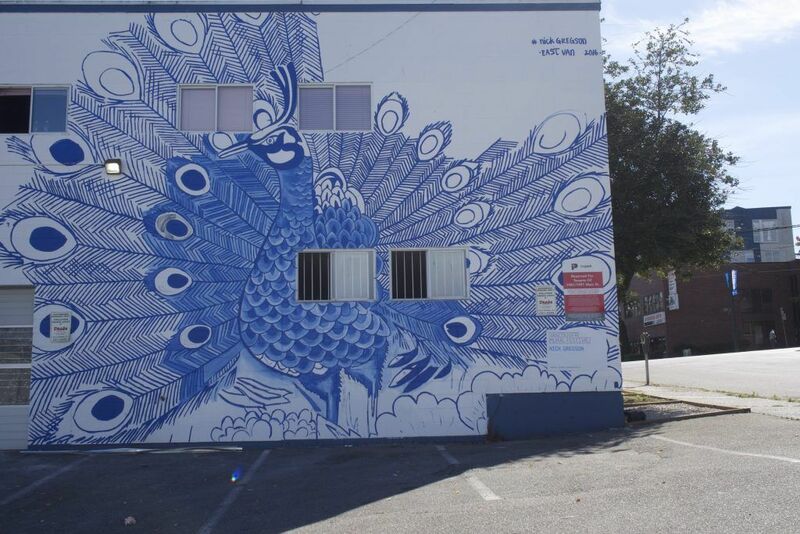 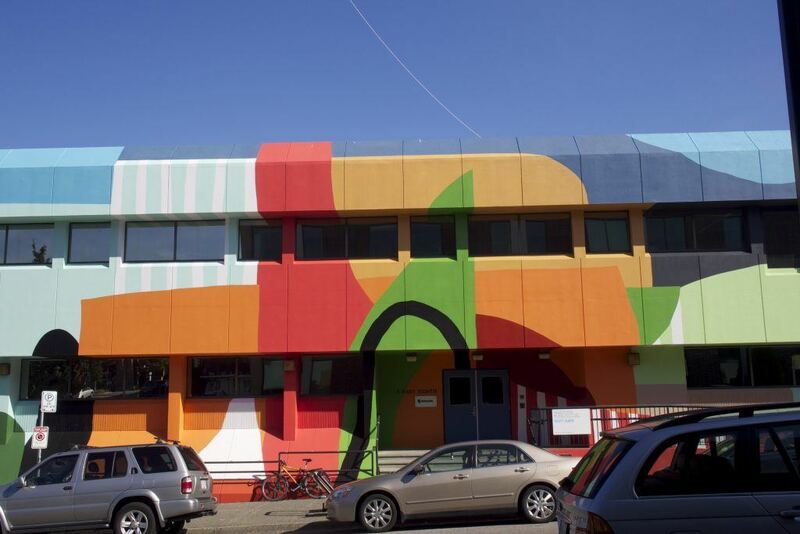 The entire building is wrapped with several beautiful murals. 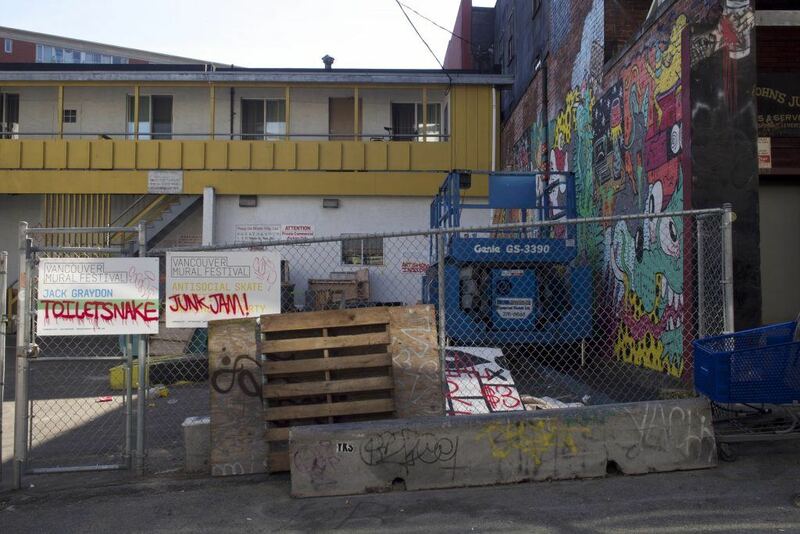 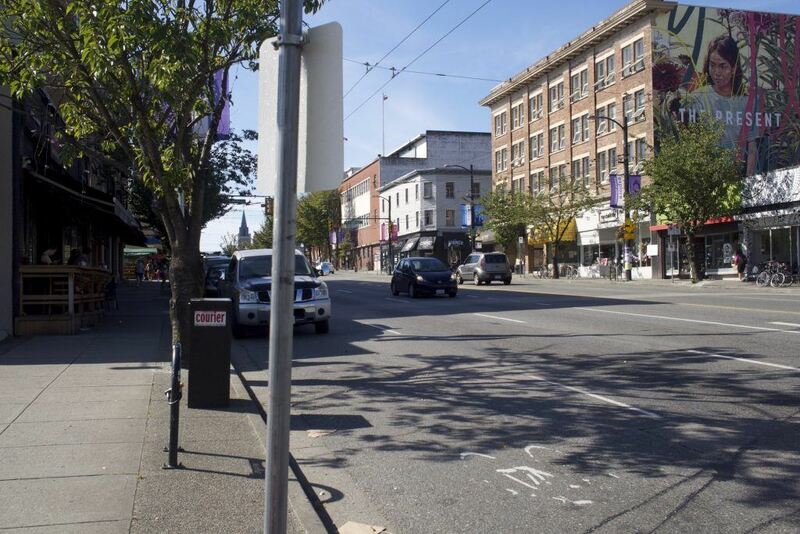 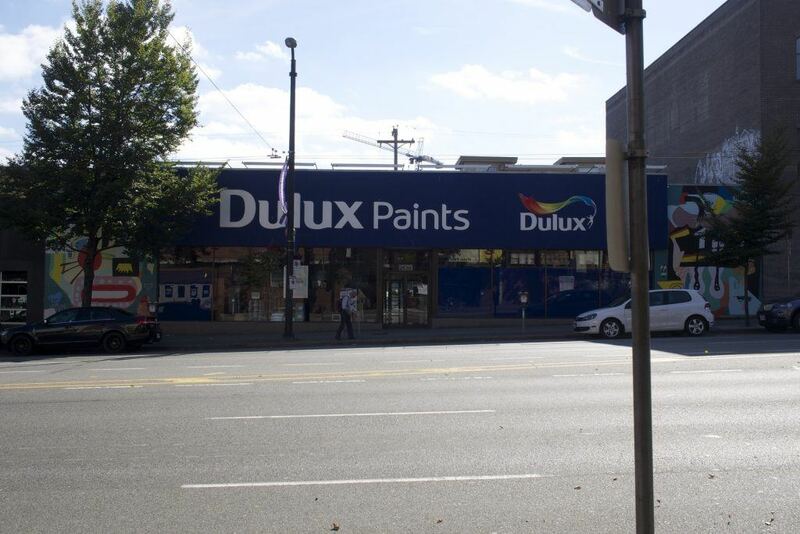 It definitely stands in a neighbourhood that is undergoing another type of transformation, gentrification. 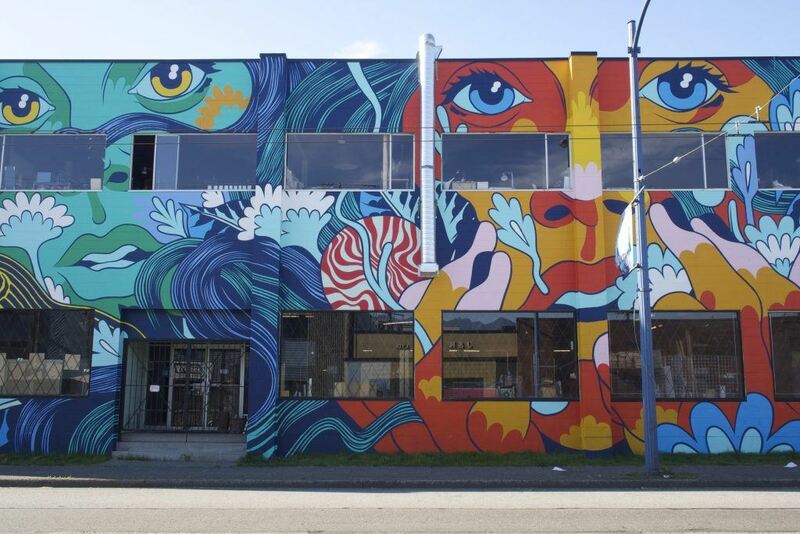 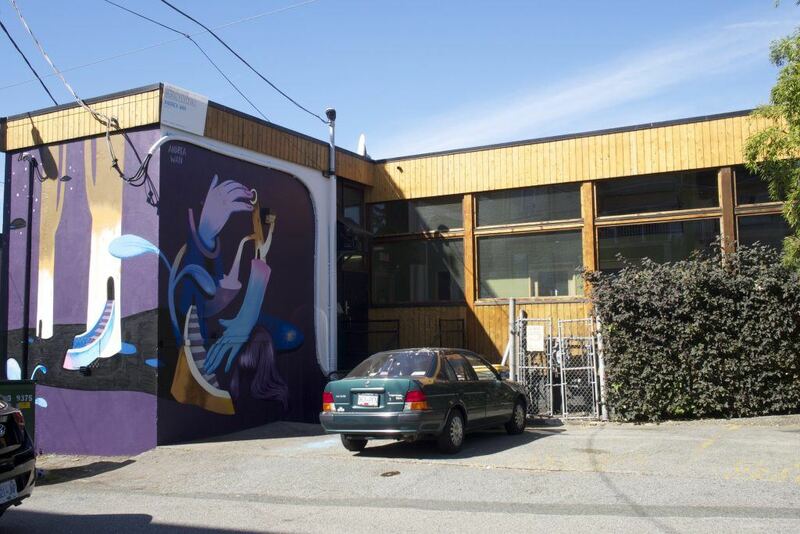 Just to the west of the new Emily Carr Campus, which is currently under construction along Great Northern Way, is a large batch of murals featuring local favourites like Ola Volo and international artists like NeverCrew and Kashink and more. 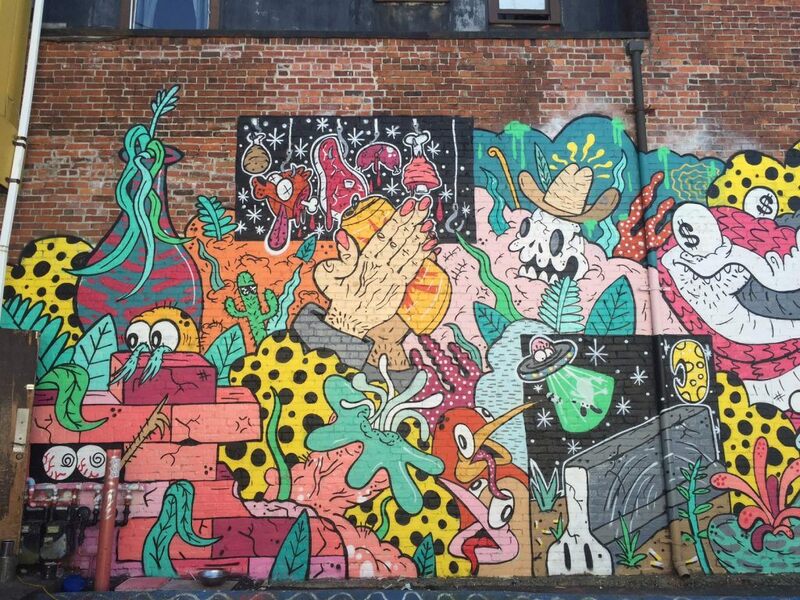 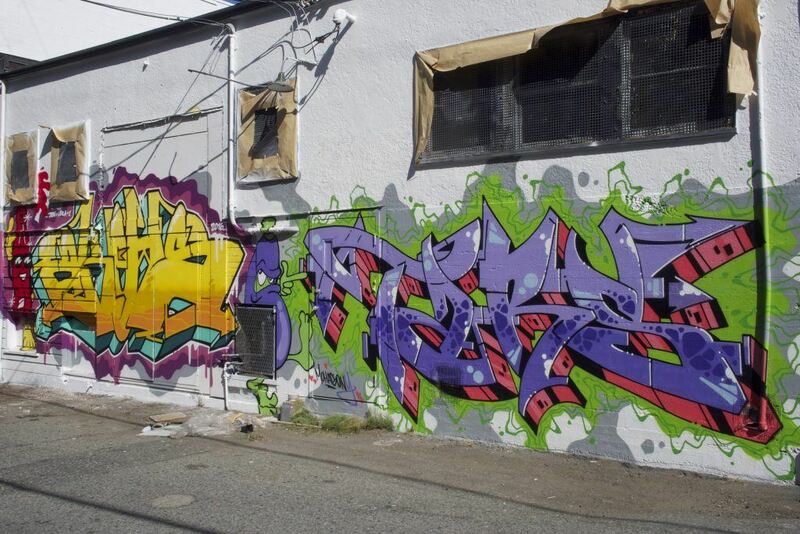 The home of seedy late night transactions now also features a great piece of art by Low Bros on the north side. 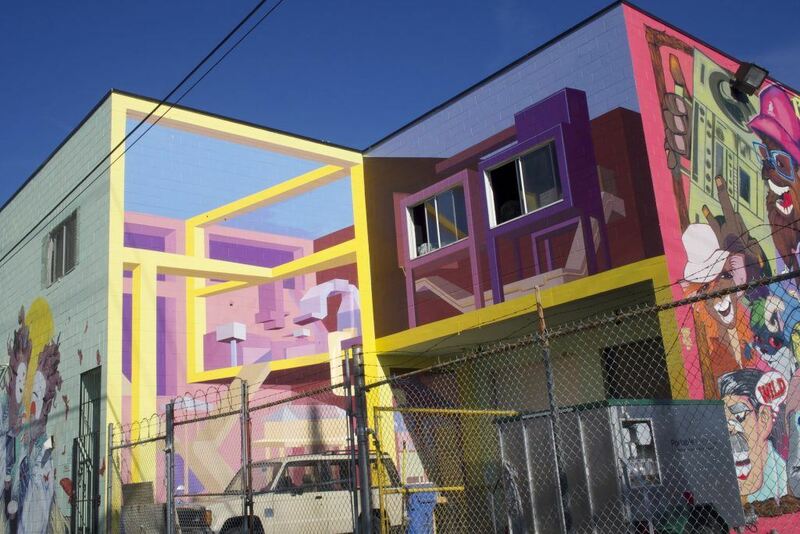 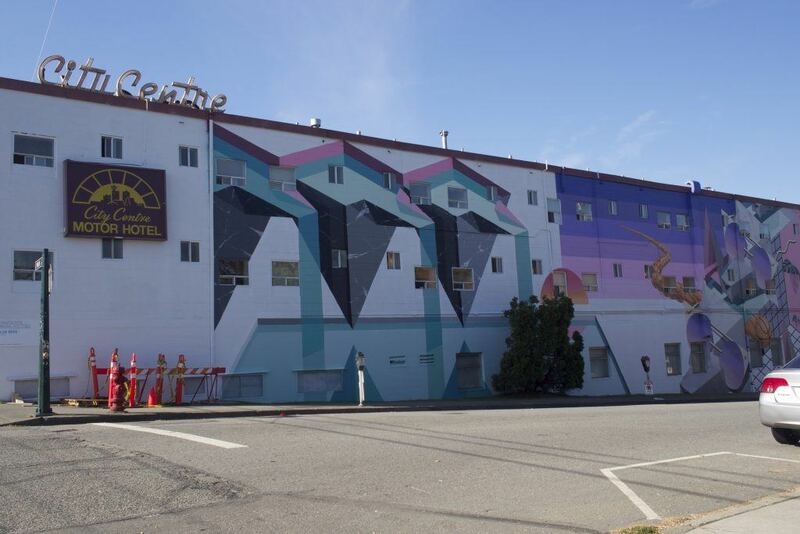 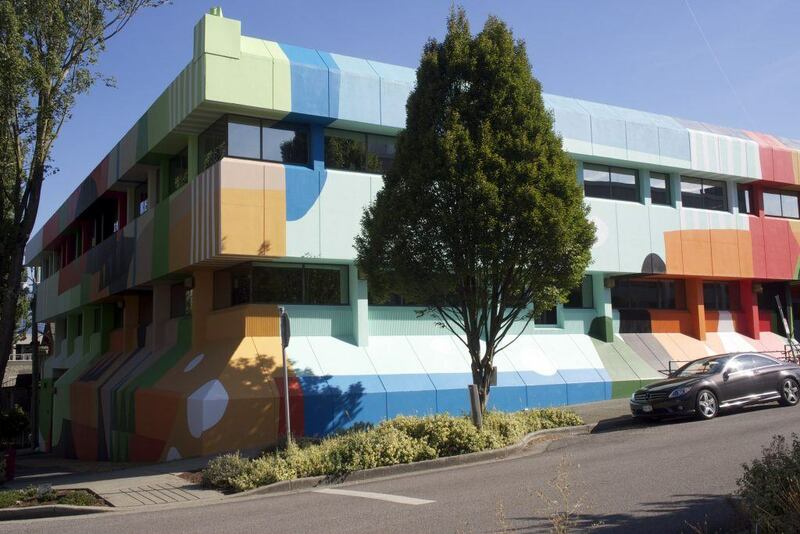 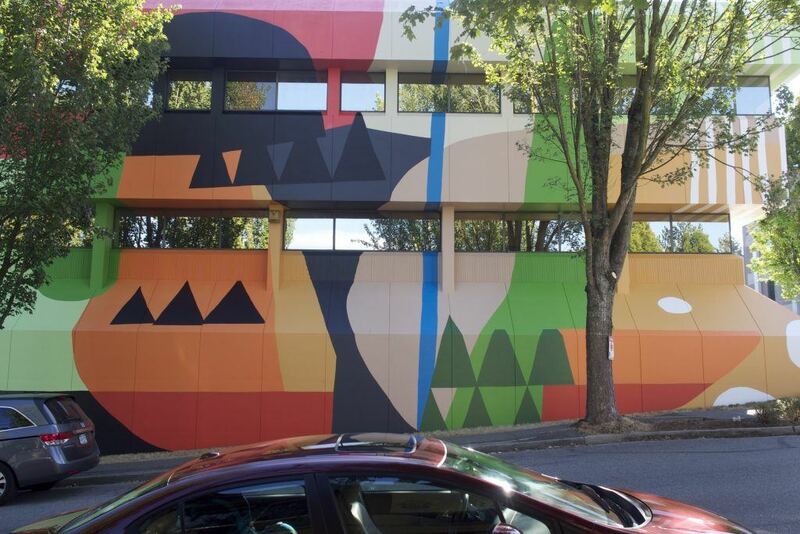 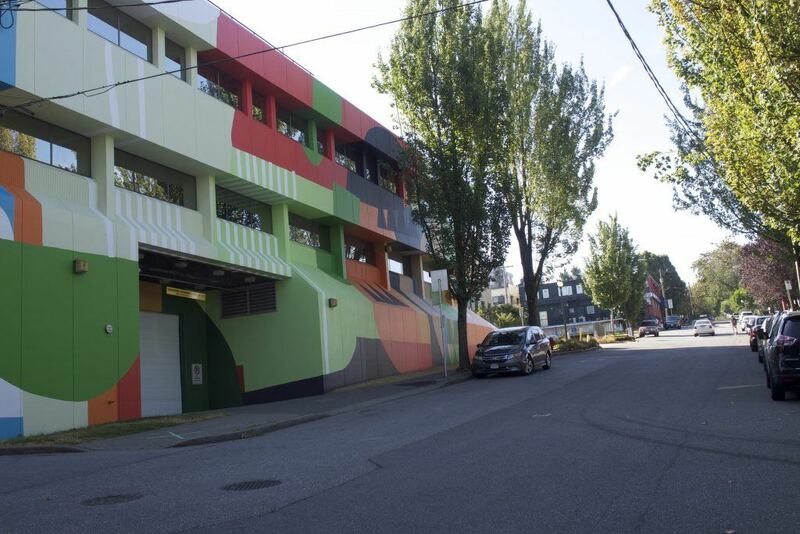 The home of Vancouver’s most beloved tech company has been transformed from a boring bunker into a colourful work of art courtesy of local artist Scott Sueme. 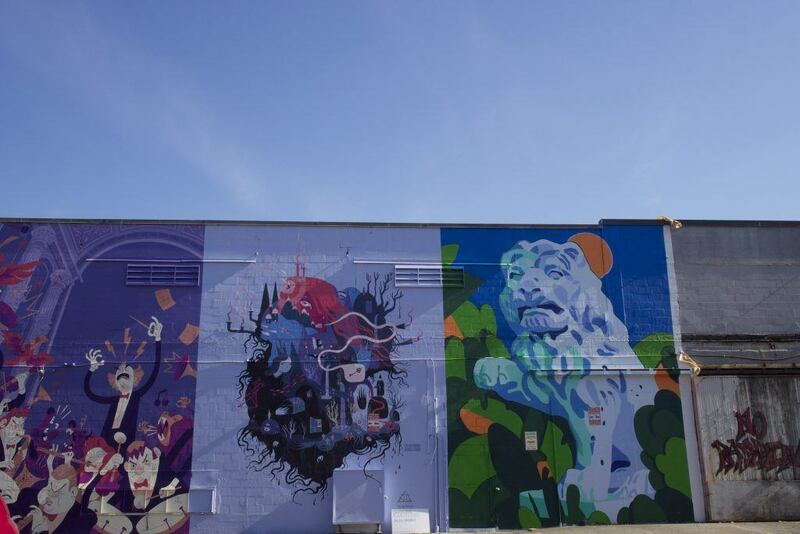 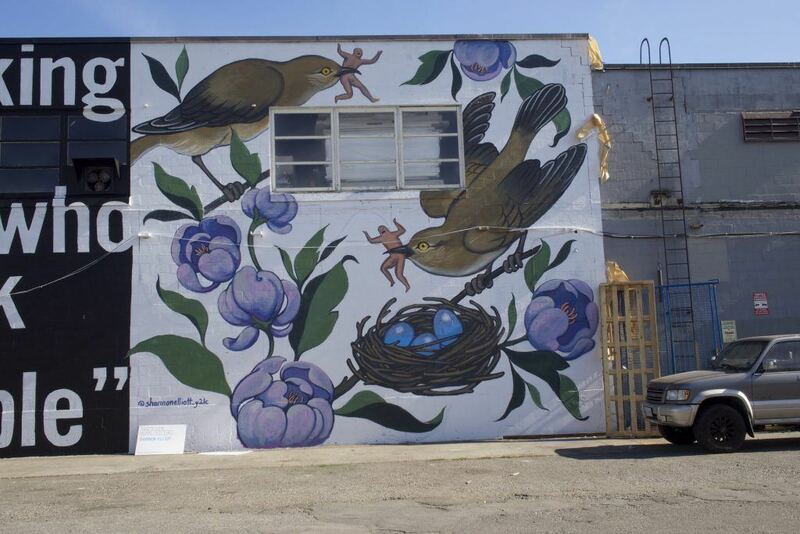 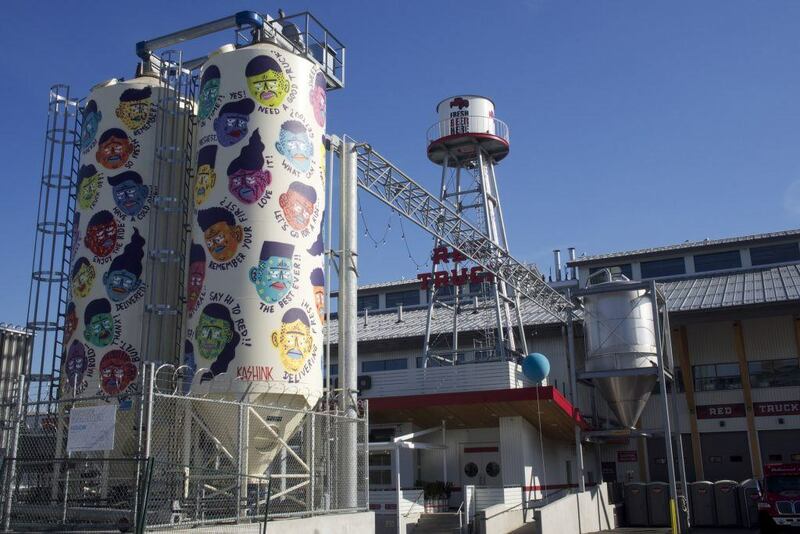 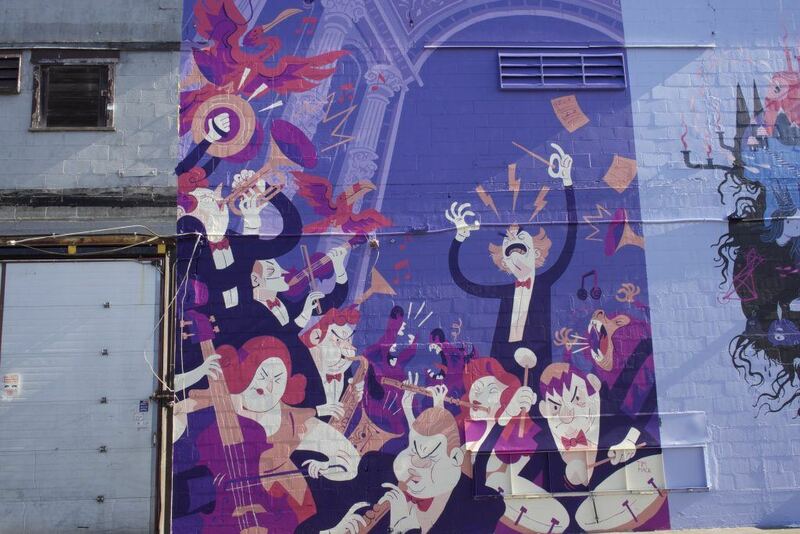 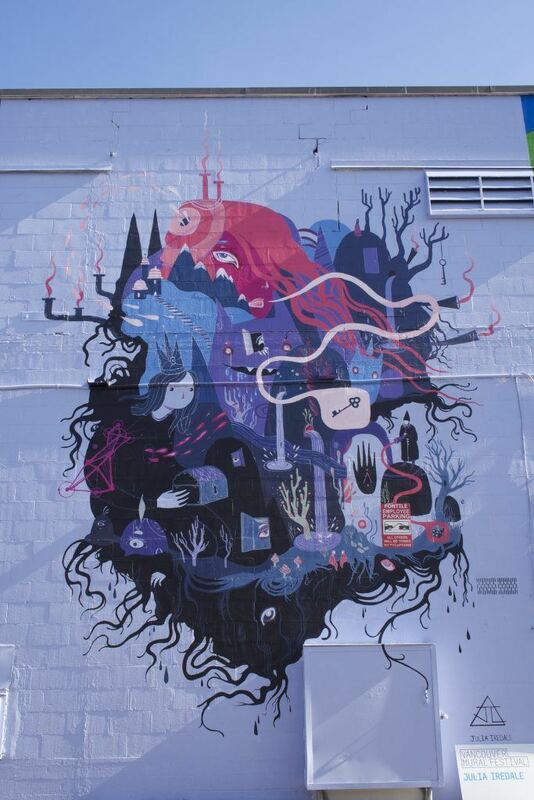 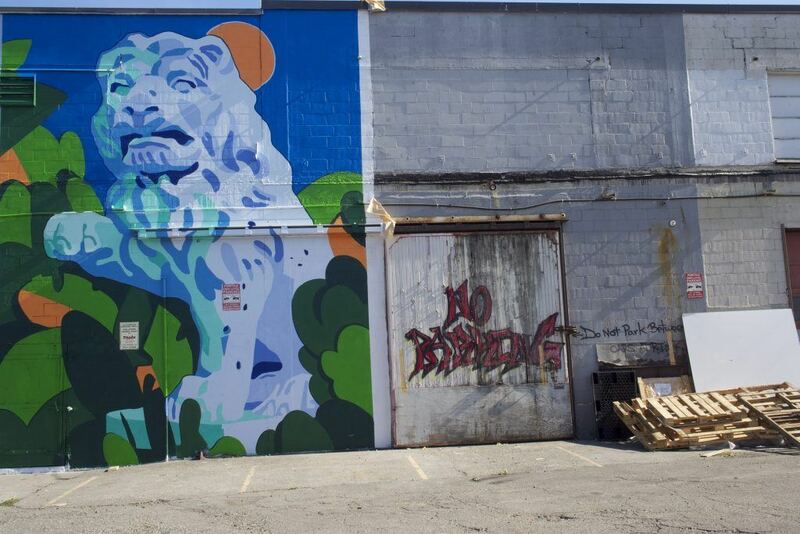 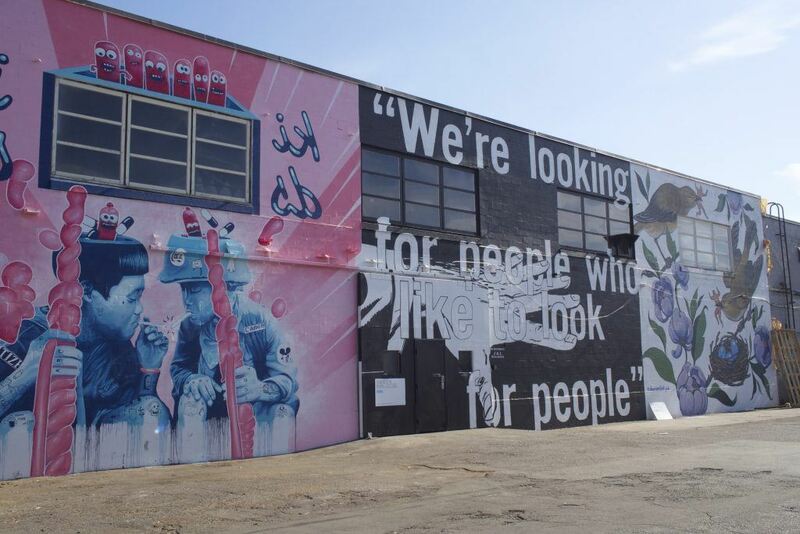 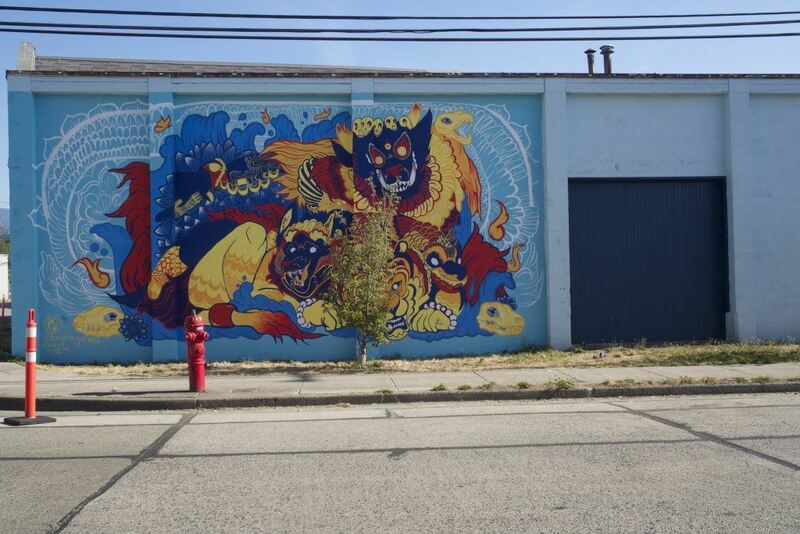 Not to be outdone by Makerlabs, the BAF building is also wrapped in murals featuring several artists. 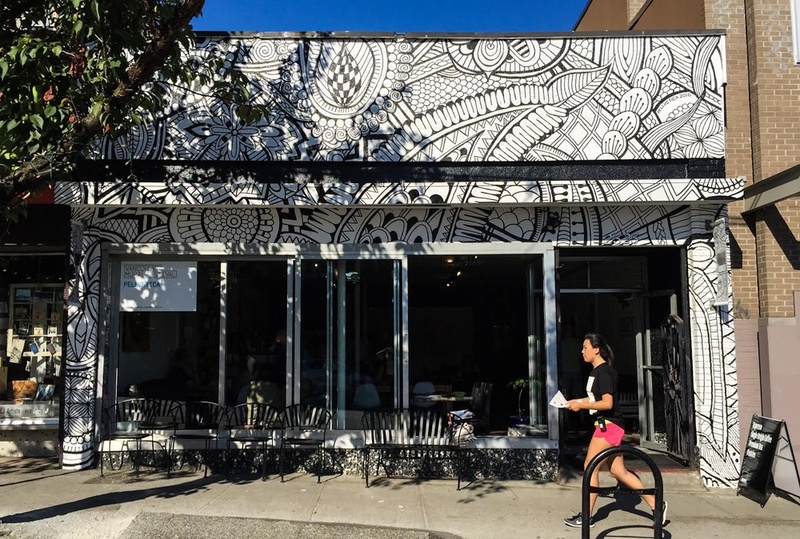 Not only does it serve damn good coffee it also features the largest new street art in Vancouver. 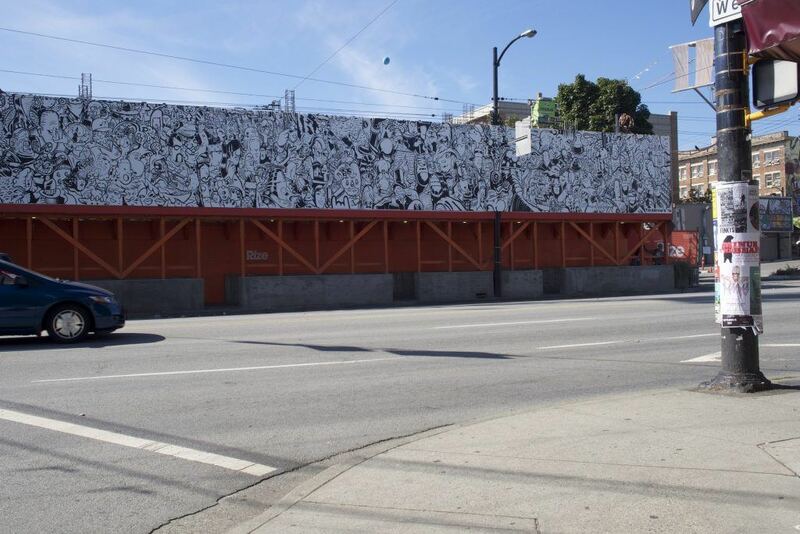 You will also notice that the signature red front building is now a beautiful black/white work of art. 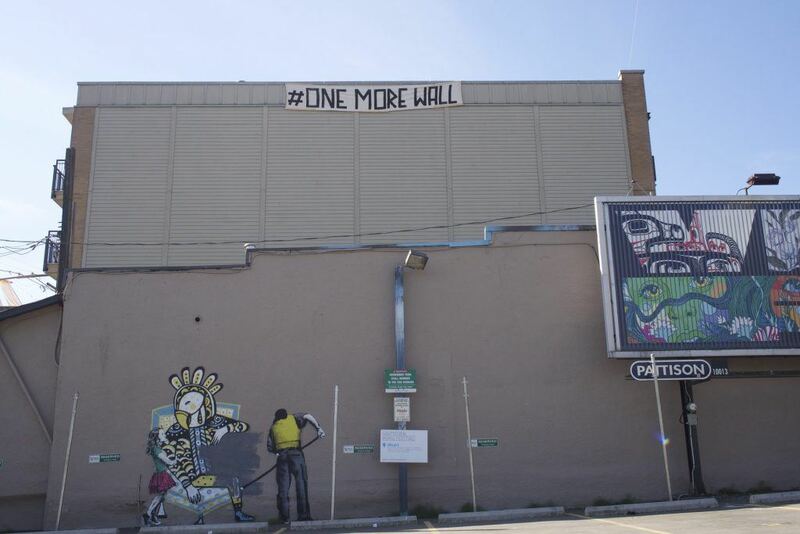 After seeing the beautification along Main Street and other parts of East Vancouver, it has left us all begging for one more wall.